But, it seems as though when stats tell us that volunteering is down, there are the broad reasons given to explain this: Not enough skills based volunteering opportunities; not enough volunteer jobs to offer and not enough flexibility. Hmmmmm, good reasons, ones which seem to blame the volunteer manager for not providing the best experience. The conclusions of these surveys oftentimes dust off their hands with some quick advice about creating a better volunteer atmosphere. It seems so simple, but I think there’s a few more reasons to throw in based on conversations I’ve had with prospective volunteers and folks who recoil like they’re touching a third rail when they walk by my booth at a fair. I still have an emotional scar from that encounter and every time I have to dismiss a volunteer due to a background check, that scar aches. I don’t know if our volunteers realize how much we care about them and about their well-being, even if we cannot accept them. Martha, I want you to know that. Then there’s Thad, who represents so many of the prospective volunteers. 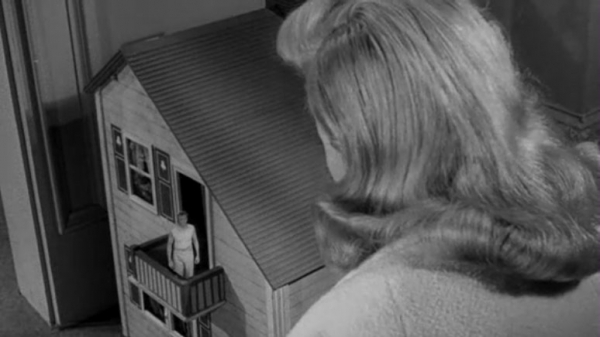 “I can’t go into someone’s home,” he says in horror. “What if they accuse me of stealing something?” Or Kelly who says, “I’m not too eager to work with people I don’t know.” Or Joyce who says, “I won’t go into neighborhoods I’m not familiar with.” For these volunteers, the comfort of an office job close to the volunteer manager or organization staff keeps them coming back, but leaves vital volunteer jobs unfilled. Volunteers watch the news, read and engage in social media, and speak to family, friends and neighbors. They form opinions about what they are willing to do. We can encourage them, cultivate them, go with them to a client’s home, but ultimately, they know they can reject a job. Sometimes volunteers will grow into positions and these volunteers are usually fantastic in their new roles. Prospective volunteers tell me, “I’ve had to go back to work,” “my family needs help right now,” “I need to move closer to a daughter who lost her job,” “my wife is sick,” “I’m having health issues,” “I’m just not emotionally ready yet,” etc. etc. 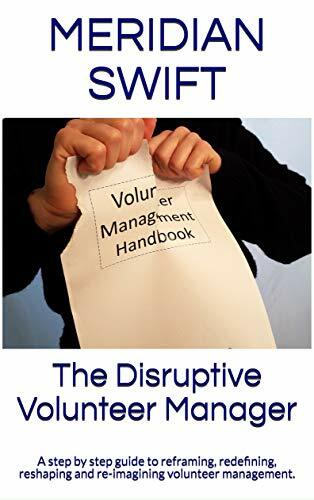 Because we, unlike our human resources counterparts, cannot just “hire” a volunteer for a job, we have to creatively fill each position while juggling the creation of new positions for volunteers who decide they’d rather not do the work we may need the most. I remember Bill who wanted so badly to fill the toughest of needs, but ended up opting for the cocoon of the home office. Was Bill’s volunteering any less because of that? No, of course not. All volunteer roles are vital. However, behind the scenes, we, volunteer managers struggle with filling important positions for any number of reasons. I’ve tried so many ways to entice volunteers to fill certain needs. I’ve guilted, humored, begged, rearranged, incentivized, romanticized, promised temporary status and so on. Many times it works, but not always. I know that finding the right volunteer for the right job is critical, so I slog it out, recruiting from within and without. And I would say to all those reports that conclude with suggestions that if we, volunteer managers just offer more leadership roles, create more meaningful positions and bend our flexibility just a bit more, volunteers will come rolling in: Come down and do this job for awhile and you will see that it is much more complex than that. And to Martha: I know in my heart that you would have gone into a client’s home and would have done a fantastic job. Somewhere, there’s a client waiting for a volunteer like you, and somewhere you are waiting for a chance to prove yourself. “we have a choice: Turn them away or somehow fit them into the spot they prefer.” And there is a third option: help them know what their options might be at OTHER organizations. 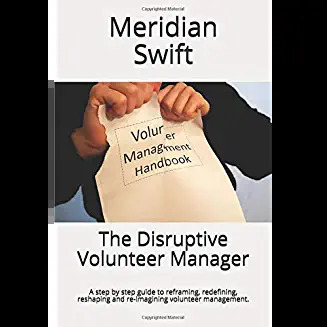 Many times I have to turn away a volunteer, for various reasons – they don’t have the skills needed, they don’t have the time needed, they want to do something we just do not need volunteers to do, etc. – but I have a long list of other options for them at other organizations, including for those people who want to volunteer in some way but could never pass a criminal background check without anything at all coming up – the bad check he passed 20 years ago, the trespassing charge she got because she crossed a railroad track in a field instead of at the cross walk, etc. I have a list ready to offer when I have to say no to a volunteer for those reasons – updated frequently. Sad to turn someone away from volunteering, but great to help them not be turned away from volunteering altogether. Hmmmm… I never had those days. I never treated volunteering at any organization I’ve been in as “We’ll take anyone!” I’ve always made it clear, at any organization where I’ve been responsible for recruiting volunteers, that we’re selective – that there are certain things a volunteer has to have. At the very least, at every one of those organizations: a serious commitment, even for what we now call micro volunteering, for instance – that requirement gets rid of about 1/3 of the applicants for volunteering at any organization I’m a part of, in fact. I know a lot of managers see their role as “We must take everyone!” But I’ve just never been in that school. The mission of the organization has always been the priority for me, and if that means turning some people away, so be it. Hi and thanks again for your wisdom. Sadly, I think the grim reality is that when volunteers are not plentiful, volunteer managers pretty much end up trying to fill a position as best as they can, hence the “warm body” theory. It has been prevalent in the volunteer sector, and as we move towards a more structured, regulated involvement, warm bodies do not work anymore, not that they ever did in the first place. It’s not easy to turn people away; sometimes it just plain hurts to do it. Hmmmm. Not sure what this means exactly. I find that, unlike times past, involvement has become so much more FREE of the structures of the volunteer management structures of the past – now, there’s group volunteering, project-based volunteering, skills-based volunteering, short-term microvolunteering, online volunteering – the possibilities, unlike the past, seem so boundless now! And all of these various ways of engagement can entice people to make longer-term commitments that never would have otherwise. “volunteers are not plentiful” – again, not my experience at all. Volunteers are… oh so plentiful in most of the situations I’m in. To the point that I’m overwhelmed. And they are all hungry for more to do – and more *meaningful* things to do. If volunteers aren’t plentiful, maybe it’s time to look at what volunteers do at the organization – and if they are less about opportunities and experiences, and more about a bunch of stuff to get done. Maybe it’s why I don’t go to volunteer management conferences anymore – unlike volunteer managers, the people working in marketing, social media, fundraising, and “community engagement” give me so many more ideas, are more focused on what can be done than what can’t, make all boundaries seem porous… I leave a traditional volunteer management conference depressed, I leave any of those conferences ready to try all sorts of new ideas. I love your blog, as it usually screams with truth! Thanks for being there for meâ¦I know Iâm not alone anymore! Normal Office Hours: Tuesdays, Wednesdays and Thursdays 10 a.m. to 3 p.m.
Hi and thanks Colette! No, you are not alone, we all face incredible challenges, have huge responsibilities and deal with so many complexities while cultivating and encouraging volunteers. It’s nice to know others have these challenges too.